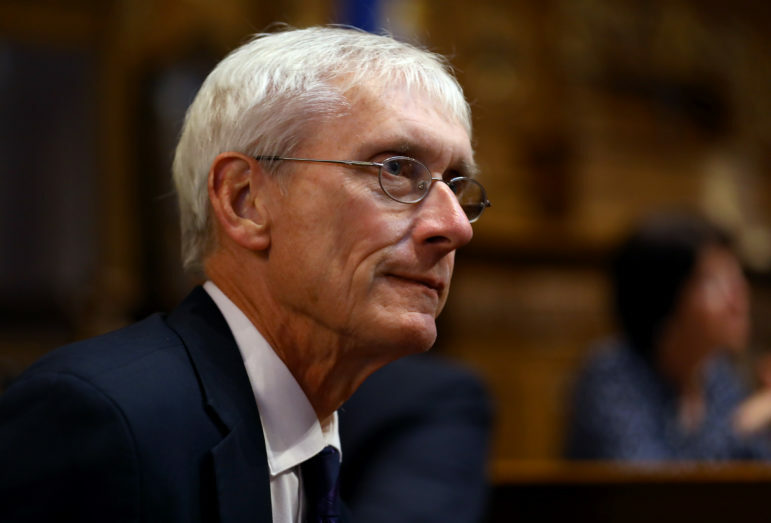 Evers proposes $63 million in funding, an investment that could have big payoff. Tony Evers. Photo by Coburn Dukehart/Wisconsin Center for Investigative Journalism. Although it is early in the year, the state legislature has already begun to get to work on the 2019-2021 state budget. With a new Governor who previously served as the Superintendent of our state’s public school system, we are seeing a focus on supporting public education in a very different way than in the past. In his final budget request as State Superintendent, Governor Evers and the Department of Public Instruction (DPI) submitted a plan that included $63 million to support and improve school mental health programs. As a former special educator, I know this funding will have major positive impacts on the well-being and productivity of students across Wisconsin. In the 29 years I worked with students labeled Emotionally and Behaviorally Disordered in Baraboo, I spent a lot of time helping them learn to care for their mental health. I saw firsthand what can happen when a student struggling with their mental health cannot access support. They experience lower grades, truancy, substance abuse, criminal activity, and worse. But I also saw what happens when schools do have the funding to prioritize their students’ mental health: better academic performance, higher participation in the community, improved overall health, increased self-confidence, and more. $63 million is a large investment, but we have much to gain from it. Every Wisconsin student deserves to thrive, and this investment will go a long way toward helping them do so. If we do not spend this money now on proactive mental health services, we may be forced to spend it later on addiction treatment or incarceration at a much higher cost and lose the productivity each person brings to our community. The good news is, the state budget can be influenced by citizens all over the state. Governor Evers will be introducing his budget, the people’s budget, on February 28th. Whether you agree or disagree with what is proposed, Governor Evers is looking for feedback and plans to travel across Wisconsin to hear your thoughts. Please look for the notices of when and where these public hearings will happen, and make sure to voice your views. I also encourage you to contact your legislator and make your voice heard. You can find out who your legislators are at https://maps.legis.wisconsin.gov.